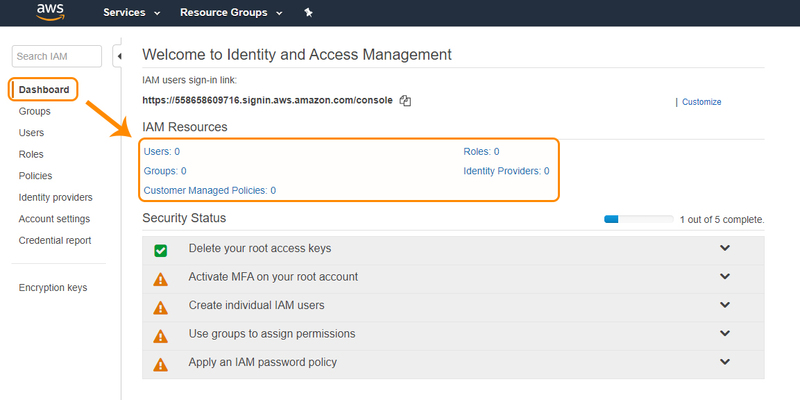 Amazon Web Services (AWS) Identity and Access Management (IAM) is a service that assists us to control access securely to AWS resources. We can use IAM to decide who is to be authenticated and authorized to use the resources. 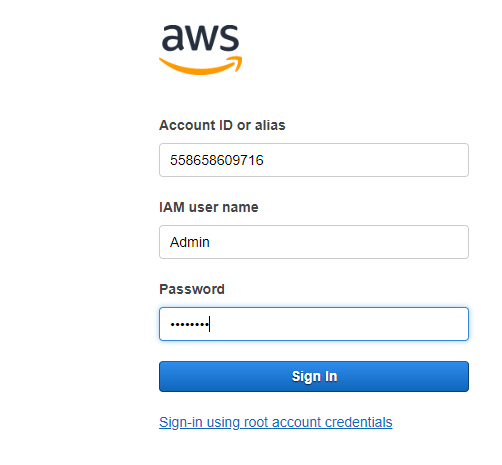 Step:1 Firstly, you need to Login to your AWS console. • In the top search bar, type in IAM. (Or) You can go to All Services, select IAM under Security, Identity & Compliance as shown below. • Given below is the IAM dashboard. Here you will get all the information in gist about the IAM resources running. • To Create a new user, Click on Users. • Click on Add User to add a new user. Provide Username*, Access type*, Console password*. Then click on Next: Permissions. 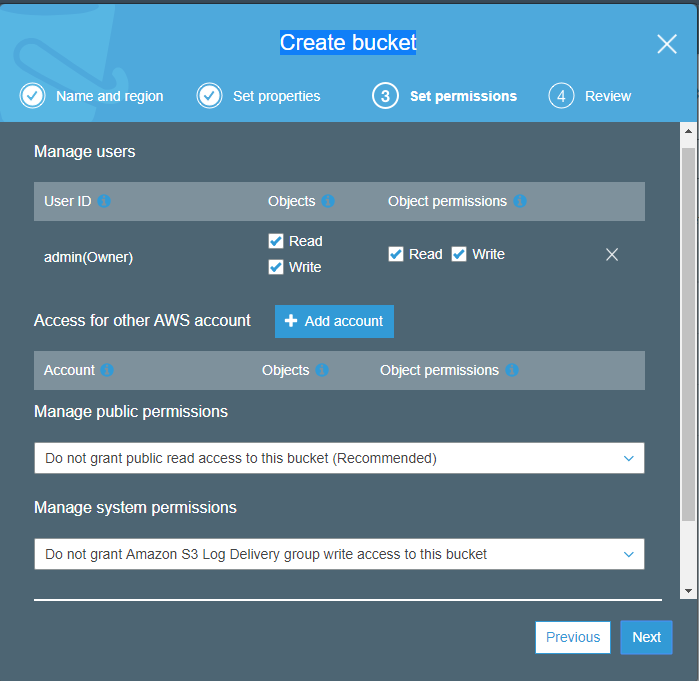 Add user to the group (or) Copy permissions from existing user (or) Attach existing policies directly. Select the required option. • Here I’m selecting Attach existing policies directly. 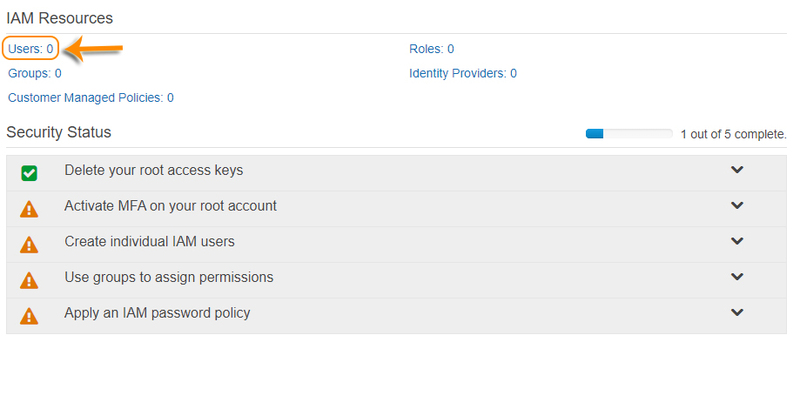 • Under Filter policy, type your required policy Name based on your requirement. • Here, I’m selecting Read-only Access. • You successfully created the User. • Now select the below given hyperlink or you can select send an email. You receive an e-mail on your registered Mail Id. • Here, you will be asked for the IAM Username and Password which you’ve created. 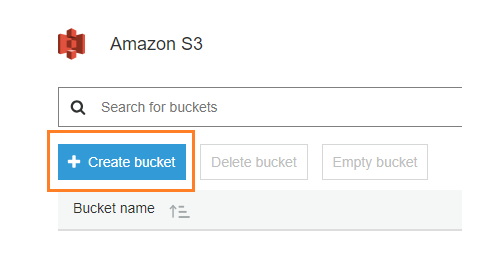 • Now, in the top search bar, type in S3. 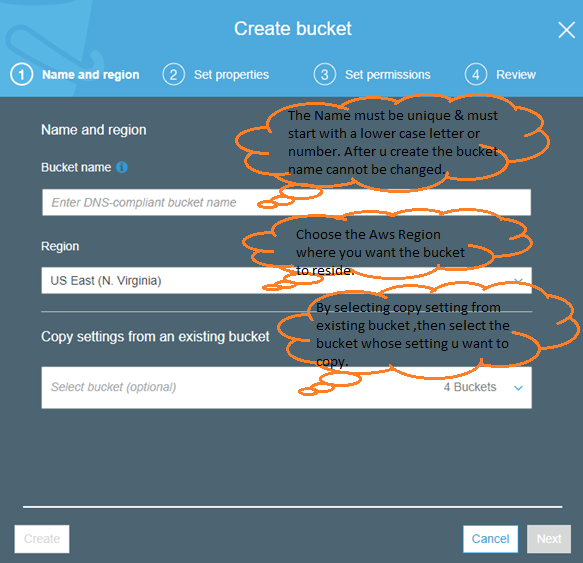 • Enter Bucket Name, Region and then Click on Next. • Here it will ask you set the properties based on your requirement. Click on Next after that. 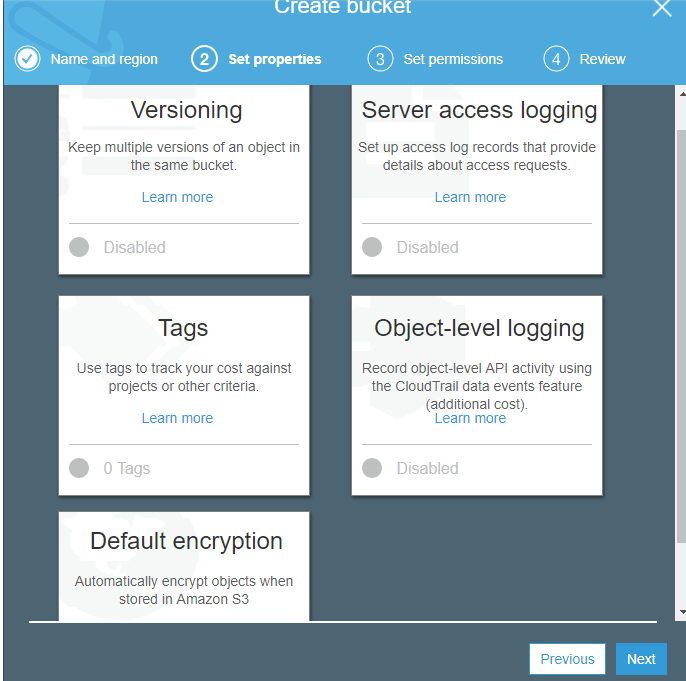 • Set Permissions based on your requirement, and then Click on Next. Here, it will throw an error Access Denied (because we have given Read Only Access). 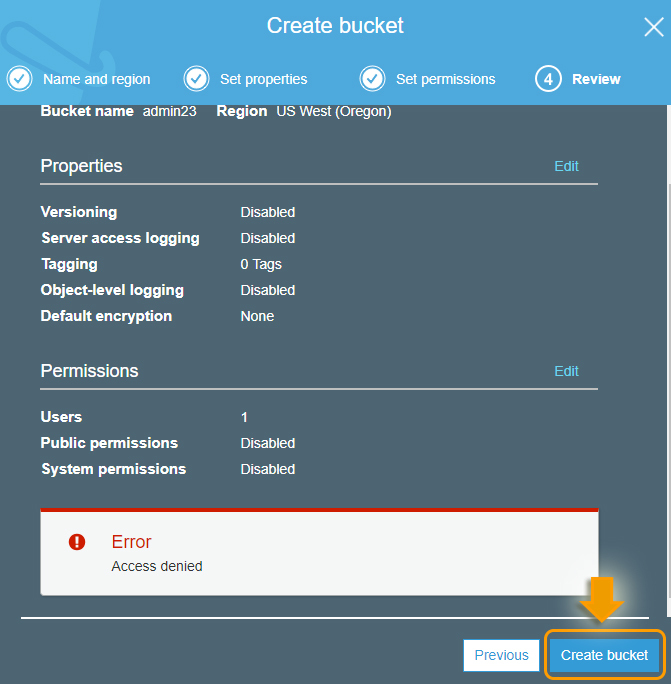 As a user, you cannot create bucket as you can’t write or even Delete.